I am pretty sure these are Angelique? Very pretty colours, really lovely photo! 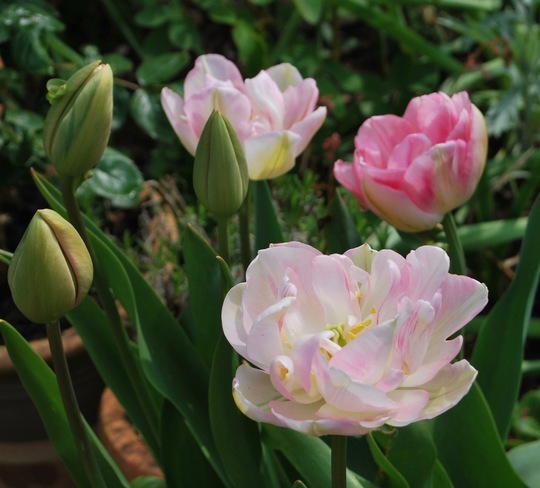 This photo is of species Tulips.